Usually, when you are ready for the scanning process, a scene has been created containing the elements to be scanned and the exposure sheet has been filled. If you have not previously prepared your scene’s exposure sheet, created your elements or scenes, you can always create drawing lists, elements or scenes directly from the scan module without having to go through the Control Center. Applications > Toon Boom Harmony10 > Scan. Start > All Programs > Toon Boom Harmony10.0 > Scan. 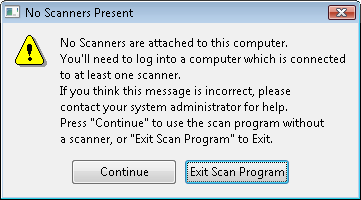 If there is no scanner properly installed or connected to the computer you are using, the No Scanners Present warning dialog box opens. ‣ Click on Continue to open the Scan module, note that you will not be able to scan. ‣ Click Exit Scan Program to quit the Scan module. If you think that this message is incorrect and that the computer is supposed to be connected to a scanner, contact your system administrator. The database login dialog box opens. 2. 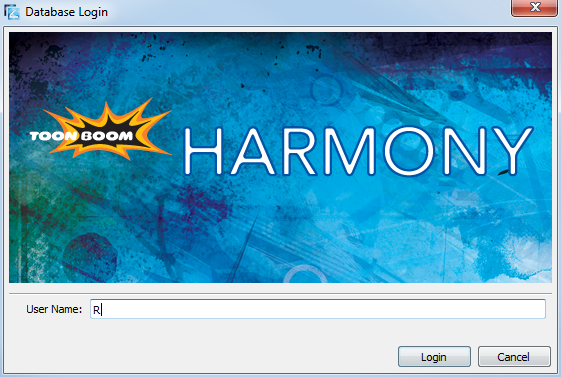 Enter your Harmony username in the User Name field. 4. Select the Environment, Job, Scene and then the Element you want to scan. 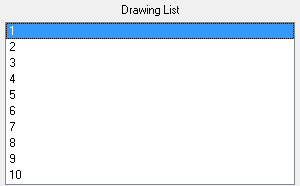 The Drawing Selector dialog box opens listing all the drawings contained in the selected element. ‣ The Drawing column lists the name of the drawings. ‣ The Scanned? column indicates if the drawing has been scanned (Yes) or not (No). ‣ Type a drawing name in the Add Drawing field. ‣ Press on Add Drawing. 7. Select the drawings you want to scan. ‣ Select specific drawings from the list using your mouse pointer. You can select several drawing using [Shift] + click. ‣ Press All to select all the drawings in the list. ‣ Press None to unselect all drawings. ‣ Press Scanned to select only the drawings that are stated as scanned (Yes) in the list. 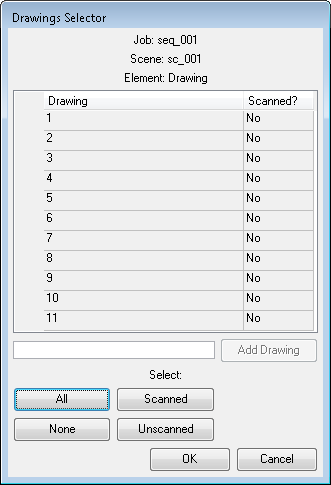 ‣ Press Unscanned to select only the drawings that are stated as not scanned (No) in the list. The selected drawings appear in the Drawing List. Once your session is started, you can open the Database Selector window anytime to load other drawings. 1. Select File > Open Drawings. 2. Follow from step 4 to step 8 the previous step by step: To launch the Scan module and load your scene:.